Photographer at ceremony site with approximately 40 photos taken of the ceremony and a few poses of the bride and groom, immediately after the ceremony. Photography is available for upgrade, see additional information on the bottom of this page. Destination beach wedding packages in Florida are ideal for the couple that is looking to be surrounded by friends and family for a beautiful wedding ceremony while keeping costs down. All of our destination beach wedding packages in Florida come with everything you need for your beach wedding ceremony. 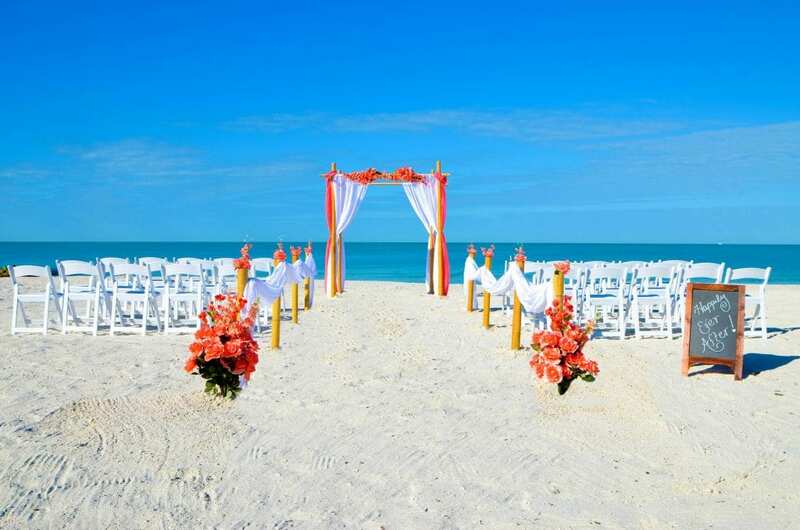 Our destination beach wedding packages in Florida include set-up and breakdown of your beach wedding ceremony. All you have to do on your wedding day is sit back, relax and show up! Planning a destination wedding ceremony from a distance has never been easier. All of our information is done electronically. Our selections and color choices are all pictured, so you can see the exact colors. Once you have reserved your beach wedding with us, we provide you with all the information you need for the ideal wedding time, we pull all the necessary permits, we provide recommendations for other local vendors and can even help provide information on getting your marriage license by mail. 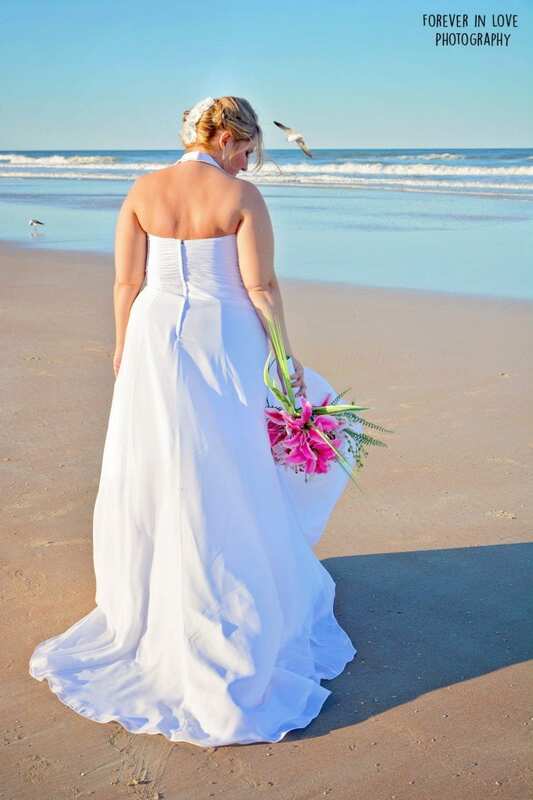 Our destination beach wedding packages also include an officiant and ceremony photographer at no additional charge! Start planning today with one of our destination beach wedding packages in Florida. Contact us to reserve your date.